I would like more information about 2200 45th Avenue. 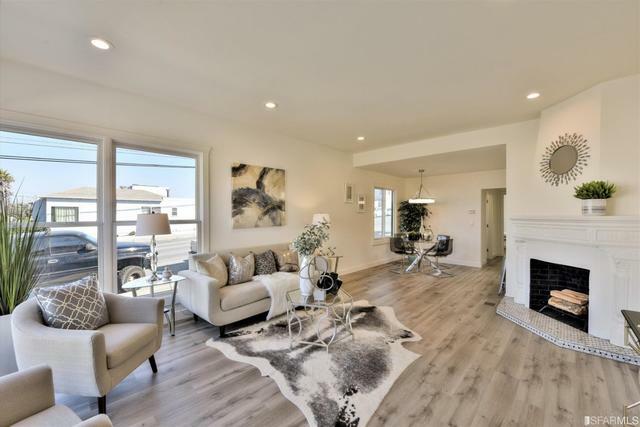 Fully Renovated, Hollywood-Style, Corner House in the Very Desirable Outer Parkside Neighbrhd, Featuring Luxury Laminate Water Proof Resistant Floors thru-out, Modern Kitchen, Breakfast Bar, Engineered Stone Countertops, High-End Stainless Steel Amenities, Gas Cooktop. Wood-Burning Fireplace, Garage on Lower Level w/ New Automatic Door. Backyard Area w/ Patio. New Wood Fence, Landscaped Yards, Front/Back. Close to SF Zoo, Restaurants, Shopping, Transportation & much more. Make It Your Home Now!